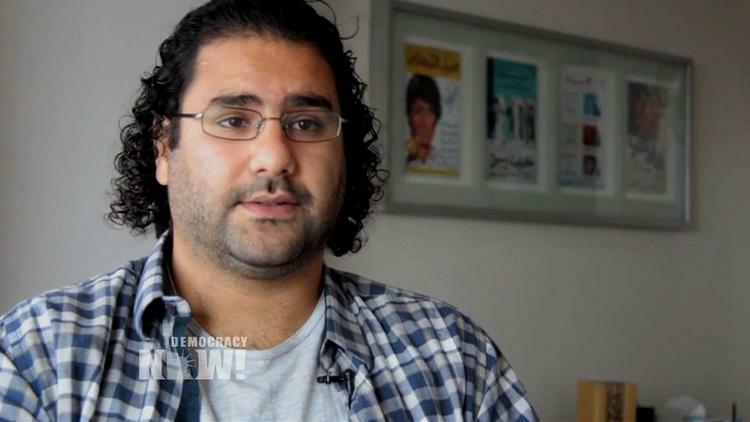 (Beirut) – A Cairo court on June 11, 2014, sentenced the prominent Egyptian activist Alaa Abdel Fattah and 24 others to 15 years in prison and LE100,000 fines (US$14,000) on a range of charges stemming from their involvement in a peaceful protest on November 26, 2013, in Cairo. Police violently dispersed the demonstration held by the group “No to Military Trials for Civilians” two days after the government issued a law severely restricting peaceful public assembly. The dispersal of the November protest showed that the police regarded the new assembly law as a carte blanche to attack protesters,” said Joe Stork, deputy Middle East and North Africa director at Human Rights Watch. “The verdict against Alaa Abdel Fattah and the others and the harsh sentences show that Egypt’s courts are content to enforce an outrageous law that effectively prohibits peaceful protest. Security forces beat and arrested Abdel Fattah in a raid on his home on November 28 in connection with his involvement with the protest. The authorities detained him for over 110 days before a judge released him on bail. Among the charges he faced were illegally protesting and attacking a police officer, a judicial source told the state-run Al-Ahram newspaper. The trial court’s June 11, 2014 session was held without the defendants present, even though Abdel Fattah and at least two other defendants tried to enter the Tora Prison complex, where the trial was scheduled, to attend the session, his sister, Mona Seif, said in a Twitter post. Because the defendants were tried in absentia, Abdel Fattah and the others are entitled to a retrial under Egyptian law. Human Rights Watch believes that trials in absentia cast doubt on the credibility of the legal process by compromising the ability of the accused to exercise their right to present a defense. The convictions are subject to appeal.